I am not a big fan of most fountains, being pale but not having a pink skin tone makes it hard to find a color that is right for my skin and works well. I usually use Mac SatinFinish in NC15 because I love how it matches my skin perfectly and isn't heavy. 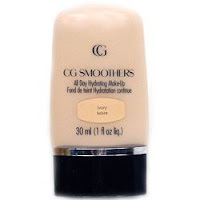 I ran out earlier this week though and had to get a quick replacement and ended up with CG Smoothers. I use my Mac Studio Finish Concealer under it and I really love the result. It makes my skin look flawless, it is actually a close second to my mac foundation. In the last few months I have been trying to get my hair back to brown from being bright red for well over a year which has been harder than I had thought it would be. Having hair that is more naturally frizzy than curly it has killed my hair. My birthday was Friday and my friend who works at Aveda gave me an amazing gift, the dry remedy shampoo, conditioner and mask. I am not going to lie when I say this is the best shampoo and conditioner I have ever used, it is great. My hair feels perfect. P.S... It smells great. Thanks Leah! This is going to sound weird but I use a men's facial moisturizer. About six months ago I saw skin care kit at Target and bought it for my boyfriend. He loved the lotion so much I had to try it. I have used it ever since. 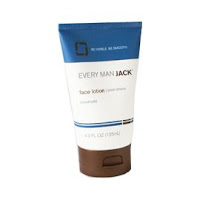 It is so light and really helps dry skin, it is also scentles so it wont clog pores. This lotion reminds me of Bigelow's Deluxe Facial Moisturizer but it is so much cheaper at $5 a bottle and Target even carries a travel size version for a dollar.